Study finds millions of network addresses subjected to denial-of-service attacks over two-year period. For the first time, researchers have carried out a large-scale analysis of victims of internet denial-of-service (DoS) attacks worldwide. And what they found is, in a phrase from their study, “eye-opening”. 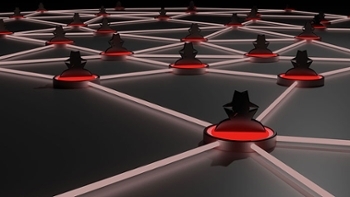 Spanning two years, from March 2015 to February 2017, the researchers found that about one-third of the IPv4 address space was subject to some kind of DoS attacks, where a perpetrator maliciously disrupts services of a host connected to the internet. The study – presented November 1, 2017 at the Internet Measurement Conference in London – sheds light on most of the DoS attacks on the internet. To detect attacks, the researchers employed two raw data sources that complement each other: the UCSD Network Telescope, which captures evidence of DoS attacks that involve randomly and uniformly spoofed addresses; and the AmpPot DDoS (distributed denial-of-service) honeypots, which witness reflection and amplification of DoS attacks. “Direct” attacks involve traffic sent directly to the target from infrastructure controlled by the attackers (e.g., their own machines, a set of servers, or a botnet). Often involves “random spoofing”, characterized by faking the source IP address. In “Reflection” attacks, third-party servers are used to reflect attack traffic toward a victim. Many protocols that allow for reflection also add amplification, increasing the volume of reflected traffic. Their data revealed more than 20 million DoS attacks that targeted about 2.2 million “slash 24 or /24” internet addresses, which is about one-third of the 6.5 million /24 blocks estimated to be alive on the internet. A /24 is a block of 256 IP addresses, usually assigned to a single organization. If a single IP address in a /24 block is targeted by a sheer mass of requests or volumetric attack, it’s likely that the network infrastructure of the entire /24 block is affected. As might be expected, more than a quarter of the targeted addresses in the study occurred in the US, the nation with the most internet addresses in the world. Japan, with the third most internet addresses, ranks anywhere from 14th to 25th for the number of DoS attacks, indicating a relatively safe nation for DoS attacks. Aside from quantifying the number of DoS attacks on the internet, the researchers also wanted to see if the attacks spurred website owners to purchase DoS protection services. People were more inclined to outsource protection to third parties following a strong attack. Depending on the intensity of the attack, migration to a third-party service might take place within 24 hours of an attack. “One of the things we show is if a website is attacked, this creates an urgency for people to start outsourcing to protection services,” says Jonker. Now that the researchers know the extent of the cyberthreat, in the future they hope to assess the impact to see if attacks are effective in taking down the targeted networks. Not every attack succeeds, and a secure internet depends not just on the number of attacks but also how great the risk. Read the original article on SDSC's website.